Shop our range of premium quality rattan garden furniture online today, made of weatherproof wicker for durable, long lasting enjoyment. 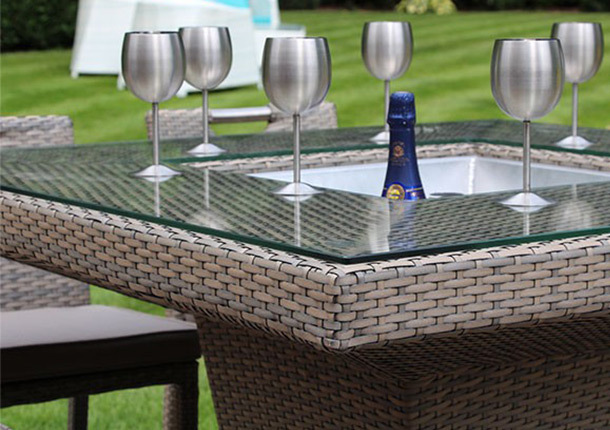 This rattan furniture is made from the finest quality materials, designed to last for years. 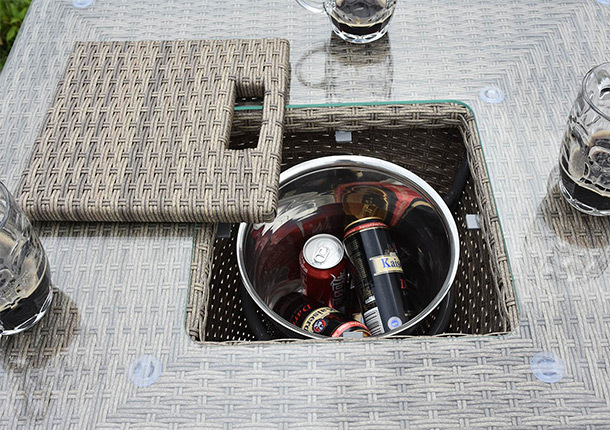 We use UV stabilized synthetic rattan, hand woven around an aluminium frame. Are you confused as to what this modern type of “fake rattan” or wicker furniture is? Learn more about is on our blog posts here. One of the beautiful things about this new style of rattan furniture is that it brings modern comfort and style to a previously very traditional area of your home. This contemporary rattan comes with cushions included, and the colour selection allows you to match something with your garden perfectly. Learn more on our contemporary post here. Very little combines elegance with easy comfort as effortlessly as a well-designed rattan garden sofa set. A circle of roomy armchairs around a burning bed of fragrant wood, an intimate corner for a comfy two-seater, or a grand three-seater set to show the best views of your garden or surrounding countryside – whichever best suits your taste and your garden, you’re sure to long for those long, sunny summer days, spent on the comfortable cushions of your hand-chosen set. Families who are just starting out can start out with an affordable, inviting chair or two, and build up the collection even as the family grows and expands into maturity. The luxurious Ascot line includes everything needed to design the collection of your dreams – one or two beautiful pieces at a time. Armchairs and ottomans. Side, dining, and coffee tables. Sofas to suit a young couple, a rowing family, or a beautiful evening spent watching the grandchildren play and laugh on the lawn. Owning them is a pleasure, and it comes without the usual burden of assembly – each of our pieces comes fully assembled and ready to use. From the box to the sun-dappled patio in moments… you might even want to have refreshments ready before you begin. We supply a full range of rattan garden furniture at our showroom. Come in and visit to try it out in person!